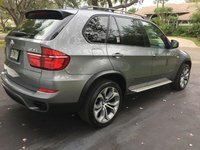 The BMW X3 Sport Activity Vehicle continues to fire on all cylinders, delivering sporty performance, agile handling and a spacious, refined cabin, along with the versatility and functionality of a capable SUV for 2012. The 2012 X3 sometimes tends to hesitate during acceleration, according to reviewers, and the luxury compact SUV remains pricey when compared to similarly equipped competitive vehicles, such as Audi's Q5. The 2012 BMW X3 might cost a little more than its comparably equipped competitors, but many owners and reviewers say it's worth the price. With a spacious, comfortable cabin, high build quality, quick performance and overall practicality, the X3 meets the needs of busy families who seek a sporty, luxury-oriented alternative to the standard SUV, van or wagon. The X3 does have a few downsides, but while it's not a perfect vehicle, it certainly comes close. Following a complete second-generation makeover in 2011, the BMW X3 Sport Activity Vehicle receives only minor updating for 2012. 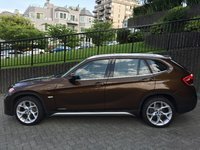 BMW continues to offer its 5-passenger compact crossover SUV in base xDrive28i and turbocharged xDrive35i trims, and although both are powered by different versions of the same 3.0-liter inline 6-cylinder engine, the upper trim offers 60 more hp than the base version, as well as an expanded list of standard features. Both come equipped with BMW's version of AWD, known as xDrive (intelligent all-wheel drive), which ensures optimal handling on all types of road surfaces. However, most reviewers caution against taking the X3 off-road, since the AWD system isn't designed to take a heavy beating. 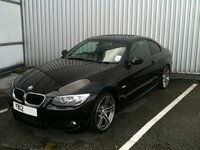 For 2012, BMW adds a new black high-gloss finish to the instrument panels in both X3 trims and includes new floor mats as well. In addition, the xDrive35i gets a new panoramic sunroof as standard equipment. All other changes for 2012 occur in the optional equipment packages. For instance, a new Premium Sound Package includes a premium audio system with SiriusXM satellite radio, and the Sport Activity Package now includes an anthracite headliner for both trims and new 19-inch wheels for the xDrive35i. In addition, BMW makes a number of add-on features, including heated front seats and a heated steering wheel, available as standalone options for 2012. Other available packages include a Convenience Package, a Cold Weather Package, a Technology Package with a navigation system and an M Sport Package, which adds such features as a sport suspension, sport seats, an aerodynamic kit and upgraded wheels. Outside, the X3 continues to display dynamic exterior styling. Its aggressive yet well-balanced look starts with the signature dual-kidney grille, sculpted nose and artfully contoured hood, and includes prominent wheel wells, attractive rising sidelines and a steeply slanted rear window. Jewel-like double-round automatic headlights, halogen foglights and L-shaped taillights are among the other exterior features, along with rain-sensing wipers, aluminum roof rails, a rear spoiler, heated power-adjustable side mirrors and dual chrome exhaust pipes. The xDrive35i adds adaptive self-leveling HID headlights with corona rings and LED adaptive brakelights. Since its redesign in 2011, sales of the X3 have risen sharply, which provides a good indication of the appeal of the second-generation X3. In addition, the X3 continues to garner awards. U.S. News and World Report, for instance, named the 2012 X3 its Best Luxury Compact SUV for Families. However, prospective buyers will want to take a look at a number of competitive vehicles before signing on the dotted line, including the sporty Infiniti EX, Acura’s surprisingly versatile RDX, Audi’s potent Q5 and the venerable Cadillac SRX. The Q5 in particular remains a viable alternative to the X3, since it offers a comparable equipment list, good performance and standard AWD, all at a price tag that's a few thousand dollars less than the X3's. 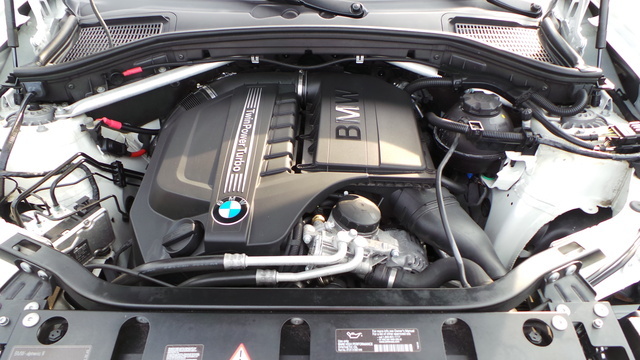 A sole 3.0-liter inline-6 powerplant continues to drive the X3, although with two different levels of output. The normally aspirated base powerplant, which powers the xDrive28i, puts out 240 hp and 221 lb-ft of torque. It mates to an 8-speed automatic transmission, which was introduced in 2011. The automatic features manual shift and sport modes and helps the engine eke out fuel economy numbers of 19 mpg city/25 highway. Meanwhile, the turbocharged version of the 6-cylinder engine pumps up the horses to 300, with matching torque at 300 lb-ft. The turbo engine also links to the 8-speed automatic, and posts similar fuel economy numbers of 19/26 mpg. An optional Sport Activity Package adds a sport automatic transmission with steering-wheel-mounted paddle shifters. Officially, the xDrive28i accelerates from 0-60 in 6.6 seconds, which drops to 5.5 seconds for the xDrive35i. Independent testers have clocked the xDrive35i's 0-60 time at around 5.6 seconds. Both trims come standard with BMW's xDrive AWD system, which instantly intercedes when it detects wheel slippage, distributing power appropriately to either axle to ensure optimal traction. Towing maxes out at 3,000 pounds for the xDrive35i when properly equipped. Both engines deliver good performance, according to numerous reviewers. The base engine doesn't have quite the competence of the turbocharged powerplant, but it should be adequate for most driving situations. However, some critics say the X3, when equipped with either engine, doesn't provide the performance levels of competitive vehicles like the Infiniti EX and the Audi Q5. In addition, some testers have noted minor hesitations from the drivetrain when stepping on the gas pedal before full acceleration kicks in. On the plus side, the 8-speed automatic provides smooth shifts and as an added benefit can skip gears when downshifting, dropping easily from 6th gear to 2nd, for instance, to help optimize efficiency and fuel economy. One of the X3's few downsides, according to some testers, is the lack of an available manual shifter for true sport-oriented performance. The X3 easily handles most road surfaces, thanks to a finely tuned chassis, which ensures an agile yet comfortable ride for passengers. The X3 delivers a ride that's nearly comparable those of BMW's luxury sedans, with good maneuverability and overall balance. The Servotronic variable sport steering provides good feedback and requires light effort when making tight turns, while tightening up at higher speeds. The brakes deliver good stopping power at all speeds. The X3 sits on a firm double-wishbone front suspension with gas-pressure shock absorbers and an independent rear suspension with a multi-link configuration. A locking mechanical center differential ensures the engine delivers optimal power and torque to all four wheels. Both trims ride on 18-inch alloy wheels. A number of packages add upgraded suspensions and mechanics. The M Sport Package, for instance, adds variable sport steering and a sport suspension with Dynamic Damper Control, which adjusts the damping on the electronically controlled shocks, depending on road quality and driving conditions, for a more stable ride. Owners can also add a Dynamic Damper Control Package as an option independent of the M Sport Package. Passengers will find lots of space inside the X3's comfortable cabin, with plenty of legroom and headroom in both rows of seating. However, some might be disappointed that leather upholstery doesn't come standard. Instead, the standard equipment list for both trims includes leatherette upholstery. Owners and reviewers like the cabin's tasteful design, which remains smart yet functional. The 8-way power-adjustable front seats are supportive and comfortable enough for longer trips, and the driver's seat includes memory settings. In addition, the driver sits high, ensuring good visibility out the front, although the exterior design creates a few blind spots, which can limit visibility out the rear. The rear seatback splits 60/40 and folds down to expand cargo space. With the rear seatback up, storage space in the back checks in at 27.6 cubic feet, which tops out at 56.6 cubic feet with the seatback folded down. Owners can add an optional 40/20/40-split seat. The BMW X3 comes adequately equipped in its base version, but it lacks a number of expected upscale features, which owners will have to add via optional packages. Standard features include automatic climate control and a three-spoke leather-wrapped multifunction steering wheel with audio, cruise and Bluetooth controls, as well as a tilt/telescopic column. The xDrive28i gets silver matte interior trim, while the xDrive35i upgrades to Fineline Siena Wood trim. The xDrive35i also receives an upgraded sport steering wheel. Both trims now feature the new black high-gloss instrument panel, which adds a sporty touch. BWM also equips both trims with its iDrive onboard computer and controller system, as well as a 12-speaker, 205-watt audio system with HD radio, a CD/MP3 player, a USB port and an auxiliary input jack. However, satellite radio does not come standard. Owners can upgrade the feature list with a number of optional packages, although critics say the upgrades quickly inflate the X3's price tag. The Sport Activity Package, for instance, adds a sport leather steering wheel and sport seats, while a Convenience Package adds a power tailgate and keyless entry. The M Sport Package also adds sport seats, as well as an anthracite headliner, while a Premium Package adds Nevada leather upholstery, ambiance lighting and auto-dimming interior and exterior mirrors. The Tech Package, meanwhile, includes such features as a navigation system, a rear-view camera, Park Distance Control, real-time traffic and BMW's Assist program with enhanced Bluetooth and USB. The 2012 BMW X3 was named a Top Safety Pick by the IIHS, since it achieved a top score of Good for protecting passengers in all types of crashes, including frontal, side, rear and rollover crashes. The NHTSA has not safety-rated the X3. The X3 comes equipped with a number of standard safety features, including Hill Descent Control and Dynamic Traction Control. In addition, standard Dynamic Stability Control works in conjunction with the AWD system and includes brakefade compensation and a start-off assist. Six airbags also come standard. BMW also includes its Advanced Safety System, which deploys passive and active safety features in the event of an accident. 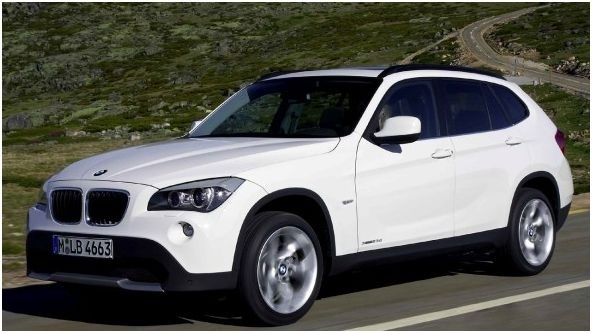 The 2012 BMW X3 looks and drives like a sports car, yet delivers a high level of luxury and functionality, owners say. They're impressed with the X3's level of comfort and build quality, and some call it the quickest BMW yet, although a number of owners say the X3 doesn't take tight corners as well as a low-slung sports coupe. However, owners have no problem with the vehicle's fuel-economy numbers, and they love its safety features. In addition, owners have high praise for the spacious, well-equipped cabin, which beats just about anything else in its class, they say. While most owners report having no problems with their vehicles, a few have reported issues with build quality, particularly with the transmission, which some owners classify as rough in operation. Others say the X3 has a tendency to drift right on the open road. In addition, some owners find the X3's technology, such as the iDrive controller, difficult to master. But for the most part, owners are very satisfied with their purchases. What's your take on the 2012 BMW X3? Users ranked 2012 BMW X3 against other cars which they drove/owned. Each ranking was based on 9 categories. Here is the summary of top rankings. Have you driven a 2012 BMW X3? I am trying to buy a 2102 X3 with 65,000 miles on it, what does the basic maintenance cost look like?